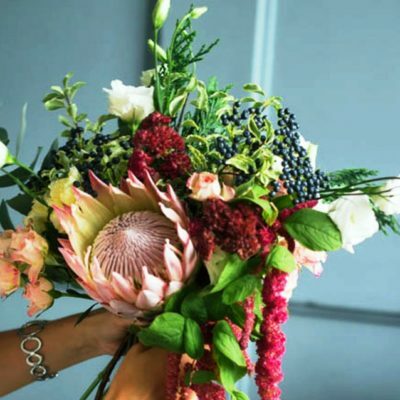 Unique arrangement of seasonal blooms with a botanical feel. 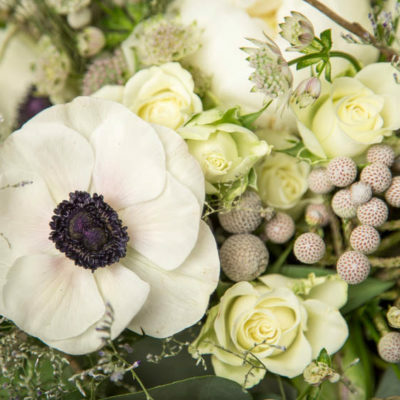 Modern and fresh colour palette with lots of texture. 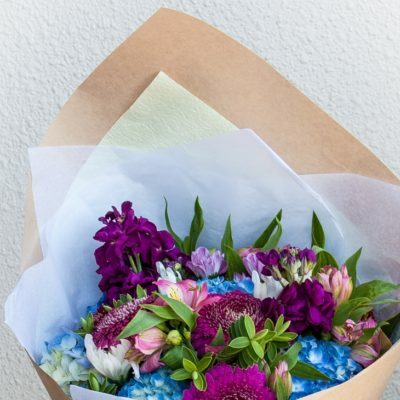 Please Note: Blooms and foliage may vary as all bouquets are custom-made. Pictures shown are examples of colour palette. 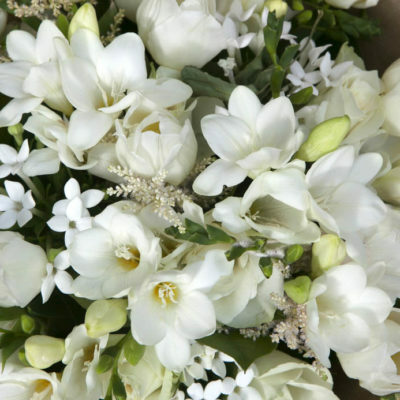 Softly fragrant arrangement of the fresh and seasonal garden blooms. 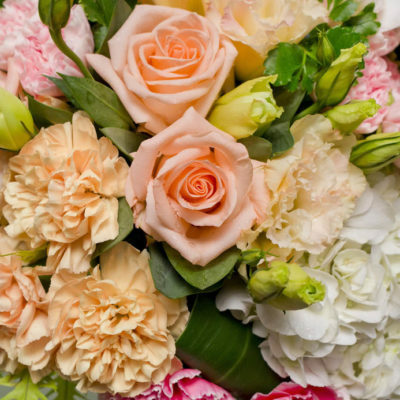 Soft pastel tones of peach, blush, mauve, green, blue and cream. 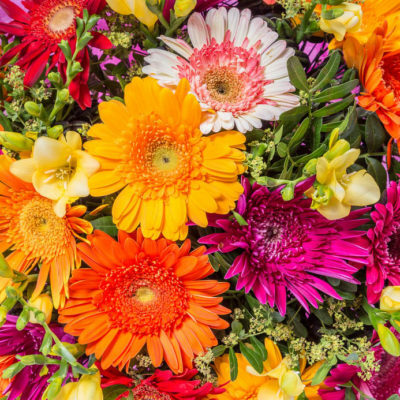 Brighten up your day with an arrangement of vibrant colourful seasonal blooms and foliage. 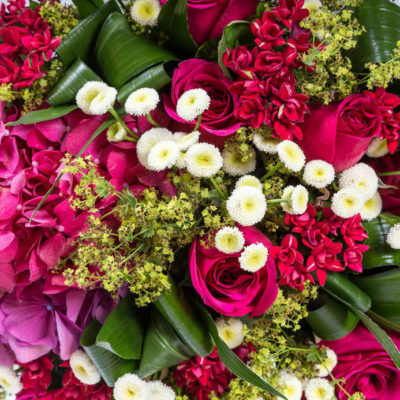 Bold lively colour palette of warm shades of orange, yellow, fuchsia, plum, red and purple. 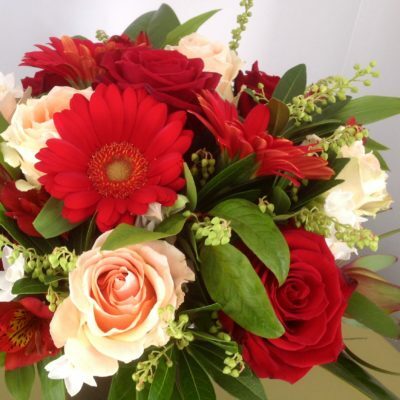 Red blooms speak the language of romantic love and passion. 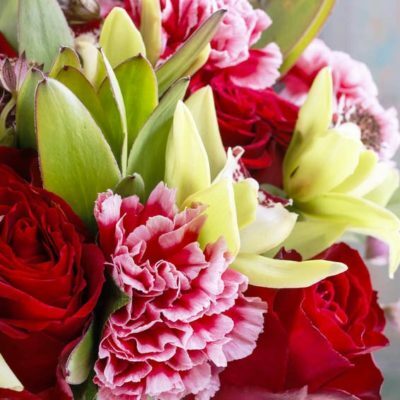 Dramatic red flowers are the perfect way to express how you feel about someone special. Not sure which colour palette to choose. 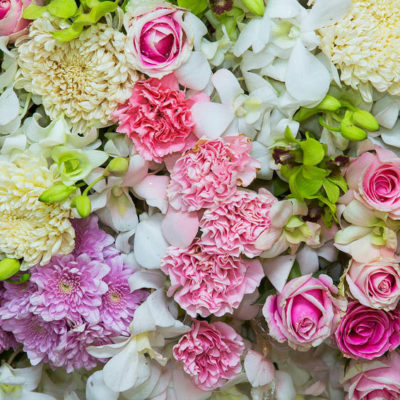 Let me select the freshest, most gorgeous seasonal flowers for you. 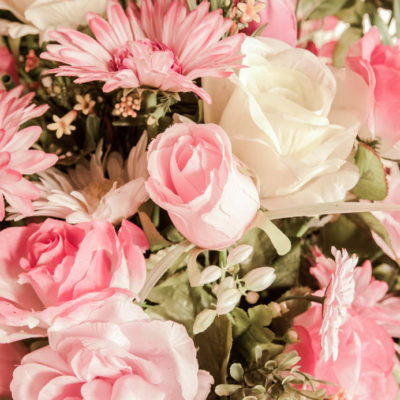 Each arrangement is individually customized and artfully designed to create a striking bouquet. 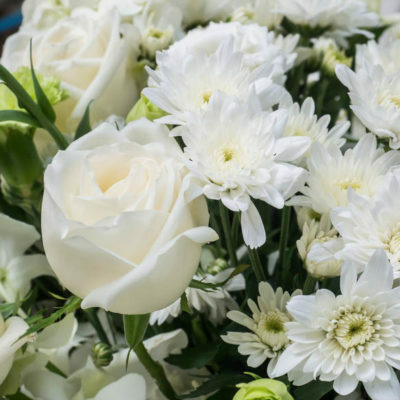 Please note : Flower bouquets are custom made and will vary from the images shown. 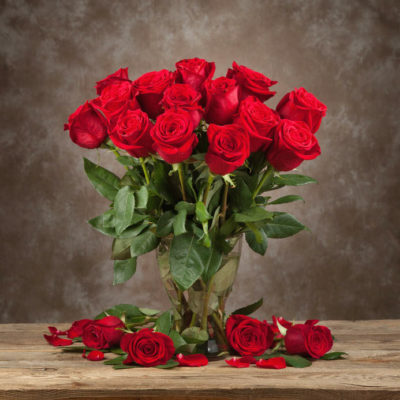 Please let me know if you have any special requests for specific flowers in the “Special Request” form on the product page or in the “additional comments” box at online checkout. 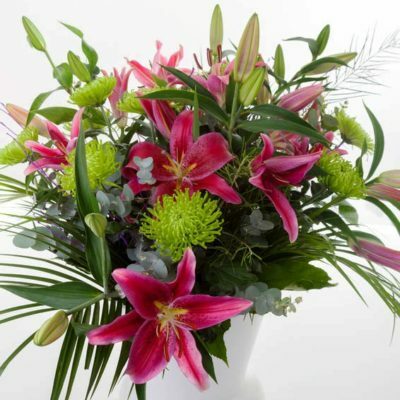 For example : Dozen red roses, exotic orchids or a mass of scented oriental lilies. 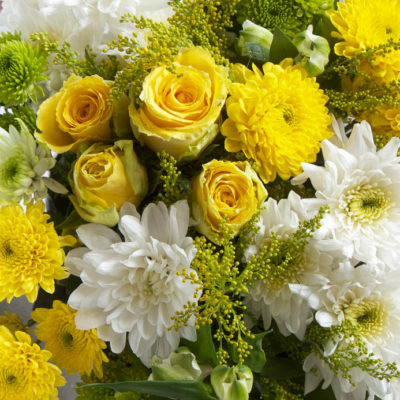 I will endeavor to do my best to meet your requests but I cannot guarantee specific flowers or colours.